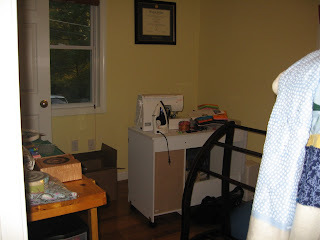 So my sewing room is almost completely set up. YAY! 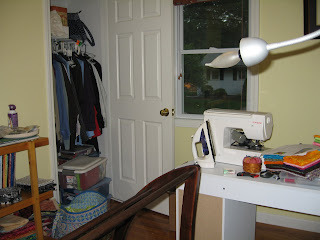 Unfortunately, I won't be able to do much sewing in there until around July 13th-ish since my in laws are coming up and at least one of the kids will be staying in my room. We haven't seen them since our wedding last year, so it will be nice spending time with them. 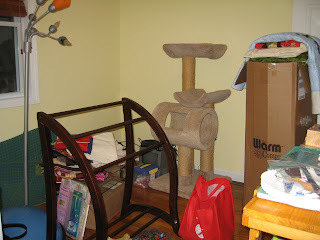 Here are a few pics prior to putting a bunch of stuff away. I did take a little time out of putting things away to cut out my fabric for the Fire & Ice class that I'm taking with Carol Doak at the beginning of August. 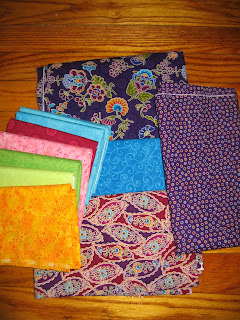 Here are my fabric choices. The purple on the top is going to be the outer border. It's a few years old and is from Timeless Treasure's Jacobean Arbor line. In the close up picture, you can really see where I pulled all the colors from. I think it's going to look awesome! 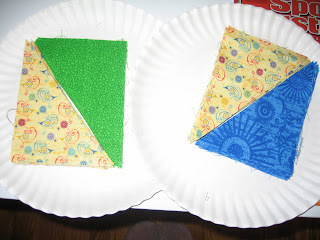 And I also finished cutting all the pieces for the second part of the first step in the McCall's Mystery Quilt. 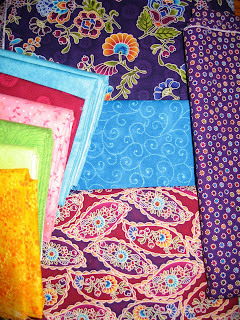 I can't wait to start piecing again and get some of my tops quilted. I have one that's all layered and basted, just waiting to go too.